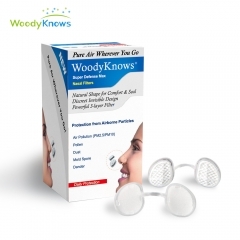 WoodyKnows Nasal Filters physically block inhaled allergens. 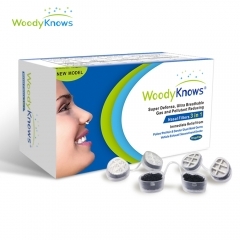 It's a good alternative to nasal spray and a good combination with it to achieve the best anti-allergy results without any drug side effects. 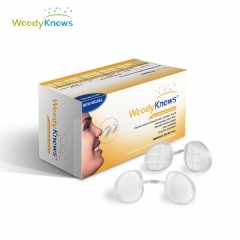 WoodyKnows Nasal Filters can filter out 90-97% of pollen and dust which protecting you from pollen & grass allergies and offer you an opportunity to feel the freshness of nature again. 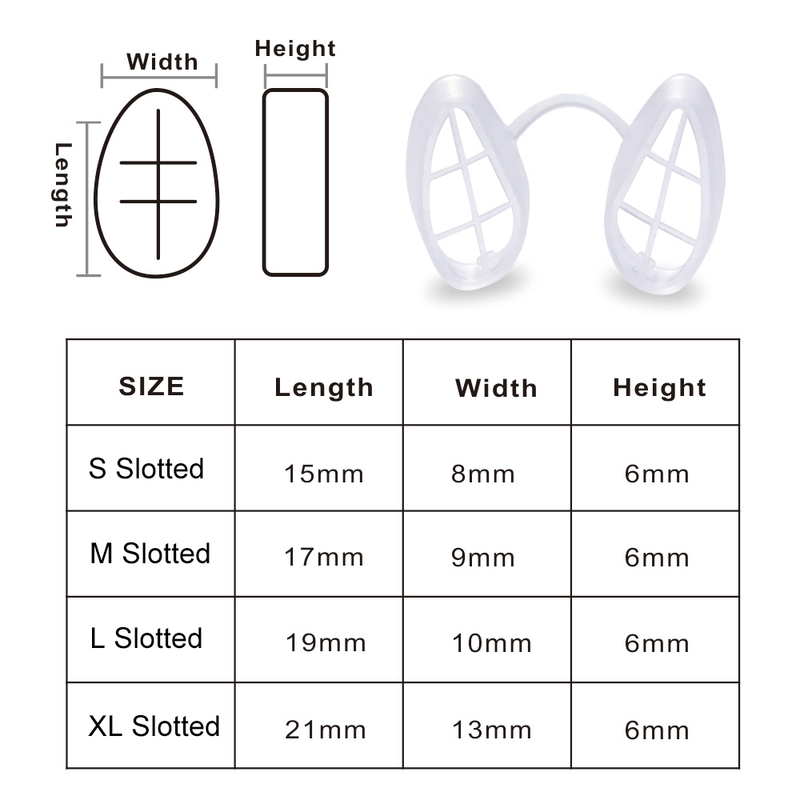 - The size of nasal cavity is different from size of nose. 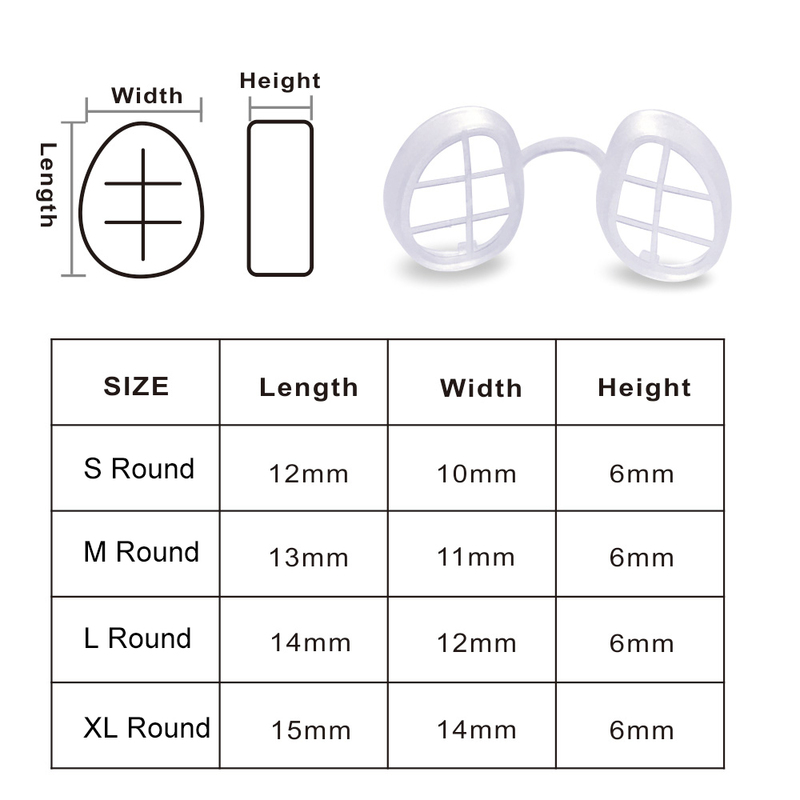 First-time buyers are highly recommended to order the S(3 frames)+M(3 frames) or L(3 frames)+XL(3 frames) to find the most suitable size. 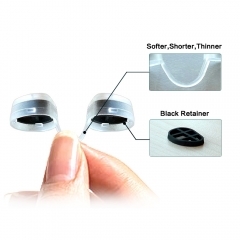 - Method A. Super Defense Model installed with electrostatic filter, which is breathable for moderate pollen, dust, dander,pet hair allergy and pm2.5 air pollution. - Method B. Ultra Breathable Model installed with metal woven filter which is super breathable for pollen, dust, dander, pet hair allergy. - Method C. Gas and Pollutant Reducing Model installed with electrostatic filter and activated carbon filter double protection for vehicle exhaust/ second-hand smoke/ TVOC and pm2.5 air pollution. 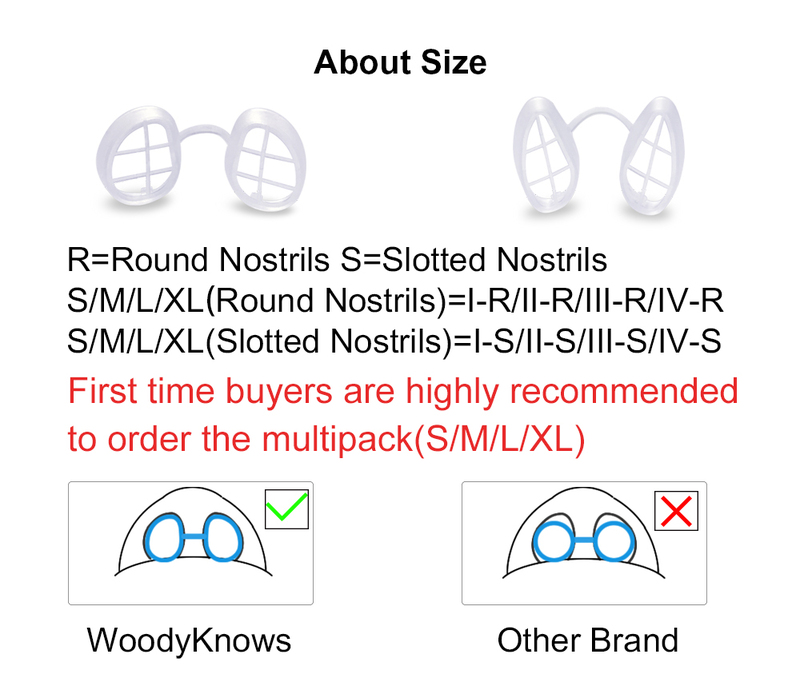 Second-hand Smoke, and TVOC, Can NOT Remove Smells Pollen, Dust, Mold, Germs, PM2.5/10 Offers More options to determine which type meets your needs. I'm extremely sensitive to smells, perfumes, colognes, & smoke give me a migraine. I wore one of these to a large event where many smells were present and I barely smelled anything! It's not noticeable to others and after 3 hours it was still comfortable.